People Work In Office Design Flat. Business Woman And Man, Computer Worker, Office Desk Table And Workplace. 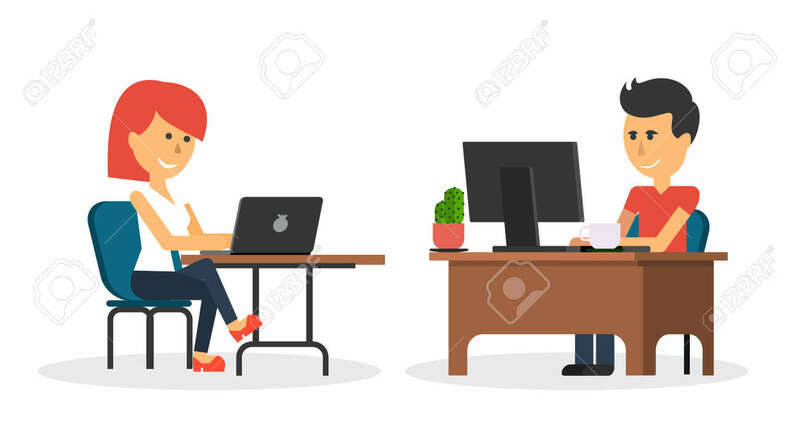 Guy Girl Sitting On Chair At Table In Front Of Computer Laptop Monitor Royalty Free Kliparty, Vektory A Ilustrace. Image 54338587.